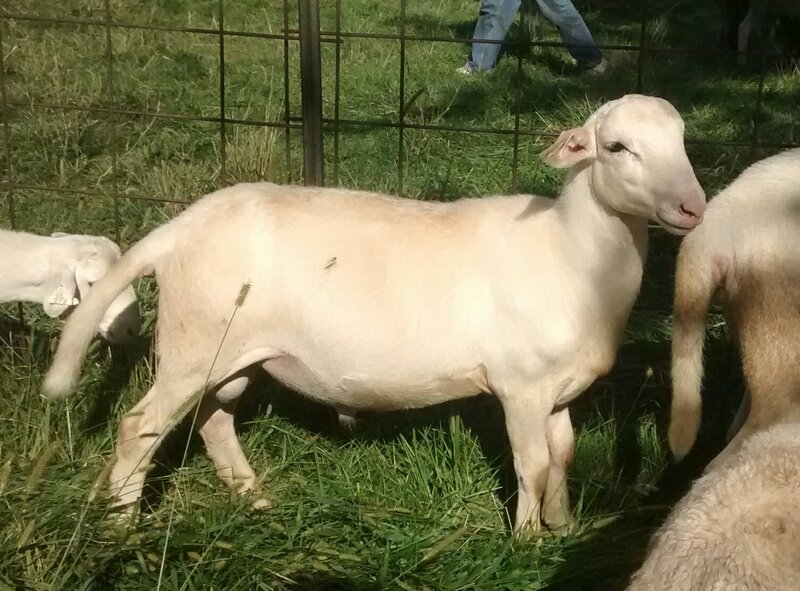 Our totally grassfed purebred Katahdin lambs are born in March and ideally grow to 70-80 lbs. liveweight in one summer, with a few exceptional ones weighing over 100 lbs. The meat is delightfully tender, delicately flavored, and healthy for you! The goat kids are Swiss (upright ears) dairy-type goats. Goat kids do not grow as fast, thick, or heavy as lambs. Goat meat is leaner than lamb meat. Most of the lambs and kids are sold for meat. We keep the best females to replace aging or underperforming ewes and does, and a few are sold to be breeding stock on other farms. There are three ways to order lambs and kids this year. First, on the "Order Form" page you will find a downloadable order form to print, fill out, and send us with a check. Second, you can email your order and have your bank send a check. Third, you can order online by clicking here: RESERVE LAMB OR KID Online ordering costs more, since both the card company and the website host take their cuts. All sheep and goats are sold LIVE at the farm, but we can deliver them to Arends Meats in Ivesdale, or you can process them yourself off the farm. This year Arends is requiring us not only to collect their service fee up front for orders to be packaged and frozen, but also to pick up your meat ourselves when it’s ready. Arends charges for 2019 are $80 for a barbecue animal (whole, refrigerated only) or $110 to cut to your specifications, wrap in small packages, and freeze solid. For more specifics on processing, please see this farm diary. At this time, animals and meat are picked up at the farm; we do not ship or deliver to your home. Reserve early, as these sell out every year.